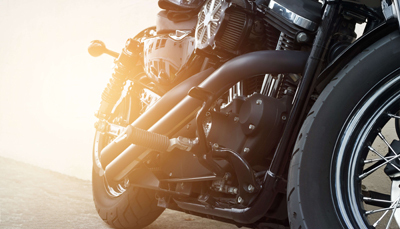 Do You Need to Hire a Lawyer for Your Florida Motorcycle Crash? In our office we often get calls from people who have been in a motorcycle accident and are wondering if they should hire a lawyer. Not every case requires the help of a lawyer. In fact, you might be able to handle your claim on your own if you weren’t seriously injured and there was minor damage to your bike. However, because of the nature and dangers of riding a motorcycle, there is a greater potential of being seriously injured. You took an ambulance to the hospital. You are unable to return to work for a week or more. You are having pain doing normal daily activities. Your injury or injuries require surgery or physical therapy. You were knocked unconscious or you have a concussion. Just as surgeons know how to perform a necessary surgery on a patient, experienced motorcycle accident attorneys know the laws. We understand how the legal process works and we have successfully handled other accident cases before. If you are serious about getting a fair settlement for your injuries, get the help of a lawyer who has years of experience dealing with insurance companies and motorcycle accident cases. This will level the playing field and give you the best chance of receiving the compensation you deserve. If you’ve been seriously injured, the last thing you need to be doing is handling your own case when an attorney can be doing it on your behalf. We will gather all the evidence and medical records, handle the insurance adjusters and hire investigators, if necessary. All you need to do is focus on your recovery and attend all your doctors appointments. Has a proven record of Five Star Google Reviews. Has testimonials by satisfied clients. Already has successfully settled Florida motorcycle accident cases and will go to trial if necessary. Knows how to negotiate with the insurance adjusters. Will keep you informed at all times and will be available to answer your calls. Is AV Preeminent on Martindale and has a 10 Superior rating on AVVO, two of the most respected nationwide lawyer rating services. Is someone you feel confident will look after your best interest. How Much Does it Cost to Hire a Florida Motorcycle Accident Attorney? We are often asked “what will it cost to hire an attorney.” We work on a contingency fee basis. This means that you will never pay us unless your case settles. If your case is successfully settled you will pay a percentage of the compensation you recovered. If your case doesn’t settle you will never owe us any lawyer fees.